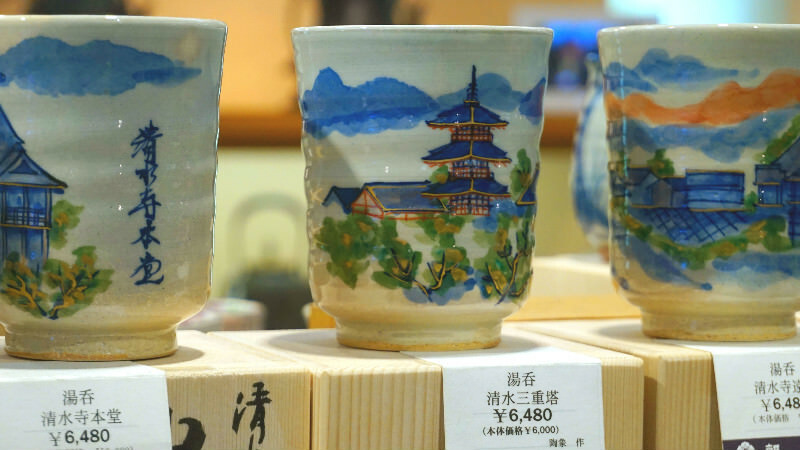 You can see many traditional crafts carefully made using traditional methods in Kyoto. I’m going to introduce shops that sell these beautiful and quality crafts. Kyoto is called the thousand year capital. There are many artisans in this town who keep protecting the traditional methods passed down for hundreds of years. The artisans keep on making artwork by hand. These artifacts have a lively and warm feeling to them because they take the time and effort to make them by hand. 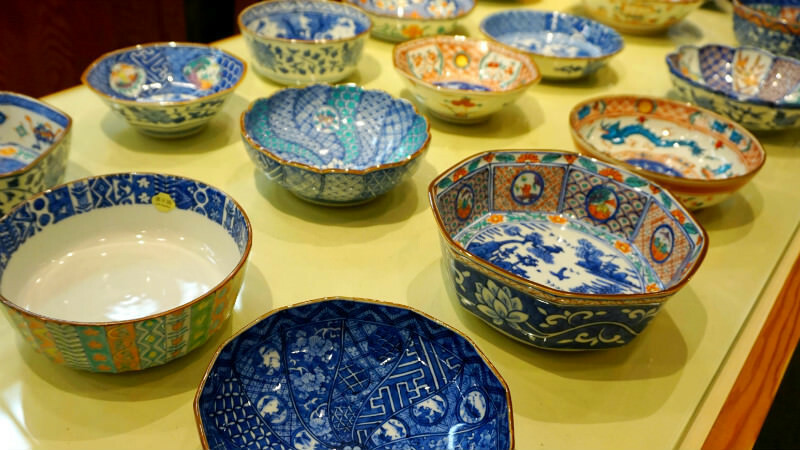 When you live surrounded by these carefully made quality traditional items you can start to feel like your own level has gone up. This time, among all these traditional items, I’m going to tell you about tableware, towels and purses, things you can use every day! They are good for you to use yourself, or they also make for good souvenirs. 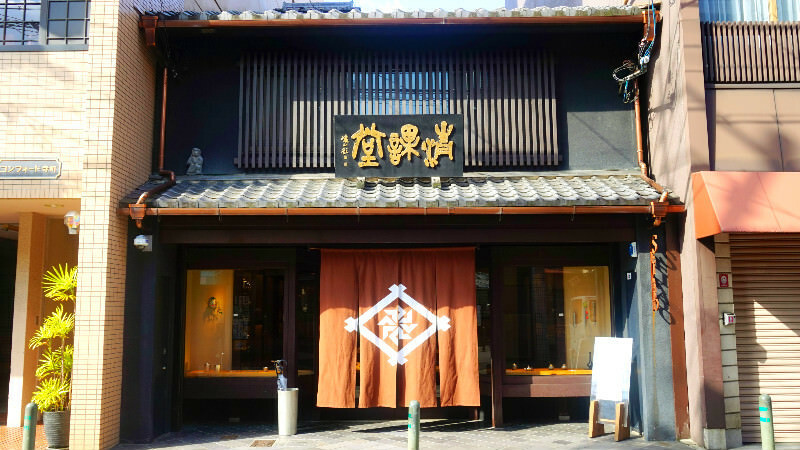 The first store is the famous Kyoto traditional craft, Kiyomizu-yaki ware established shop of Kyo-Kiyomizuyaki Asahido Honten – Main Store. Asahido, founded in 1870, is a specialty store that has been selling Kyo-yaki and Kiyomizu-yaki wares by Kiyomizu Temple for approximately 150 years. They have really many products on sale, and they are all made by hand. It’s really surprising that they can make pictures this fine by hand! This store is right at the top of Kiyomizu-zaka hill, how about buying something when you come to see Kiyomizu-dera Temple? Drinking some sake from a cup made out of tin when you get home, this would be a really chic and mature way of life, making you cool. If you go to Seikado, you can start living like this. 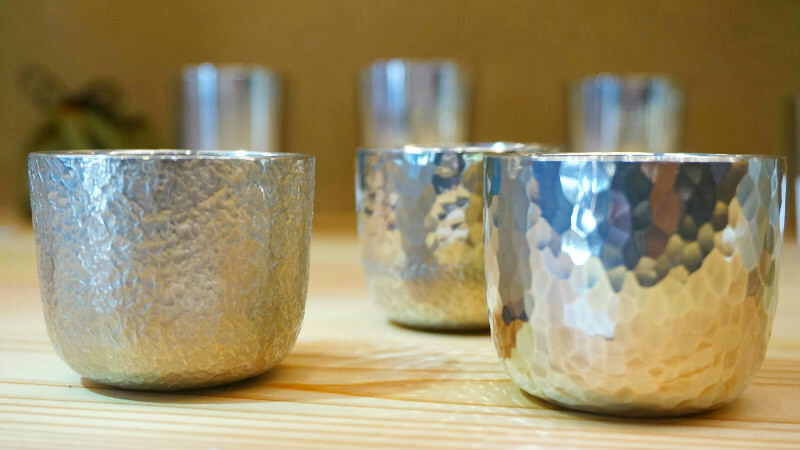 Seikado is a metal traditional craft store that sells tableware like drinking vessels and kettles made out of tin. 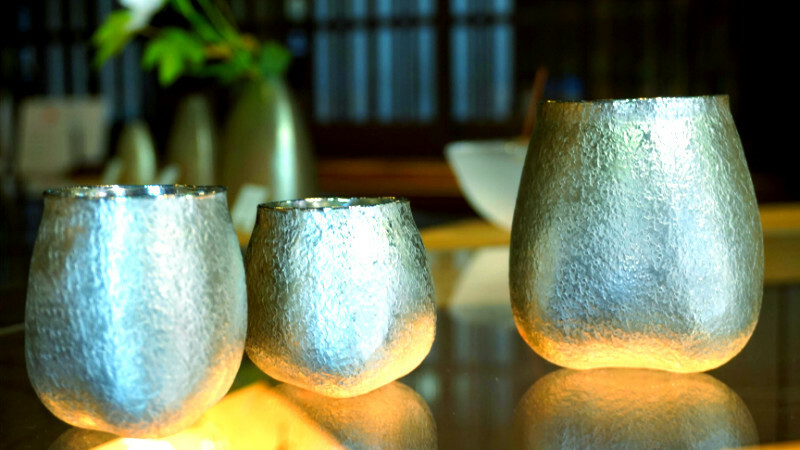 It is said in Japan that drinking vessels made out of tin purify water and make sake taste mellower. Not only the traditional crafts but also the sake in them becomes high quality, it’s almost like magic. This is an accomplishment that is only made possible by the traditional crafts of Kyoto! 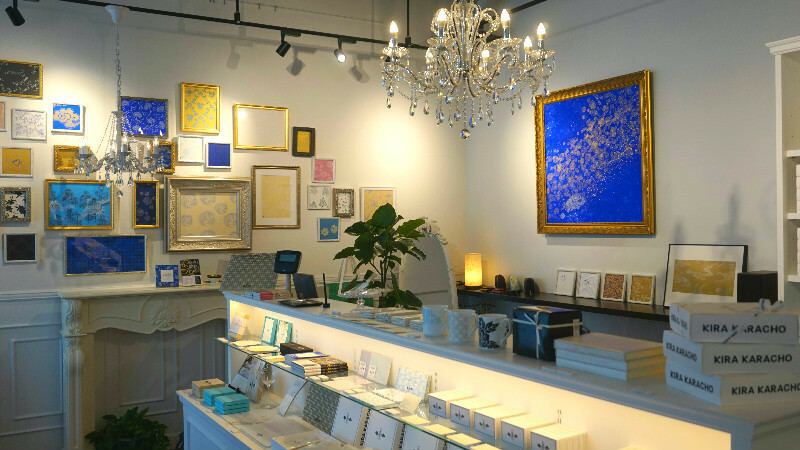 The incredibly clean glass showcases of the shop line on the wall, and the store has a refined feeling. 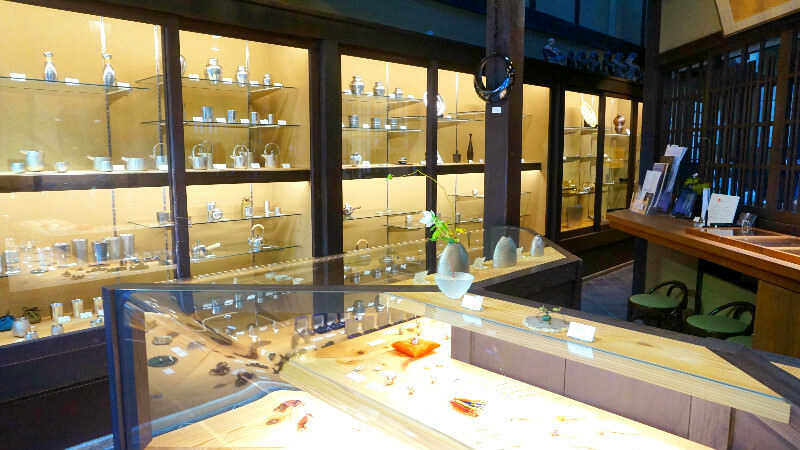 Seikado has their store on the antique and traditional crafts street of Teramachi. You should visit them once even if you are not going to buy anything. Next we have Eirakuya. 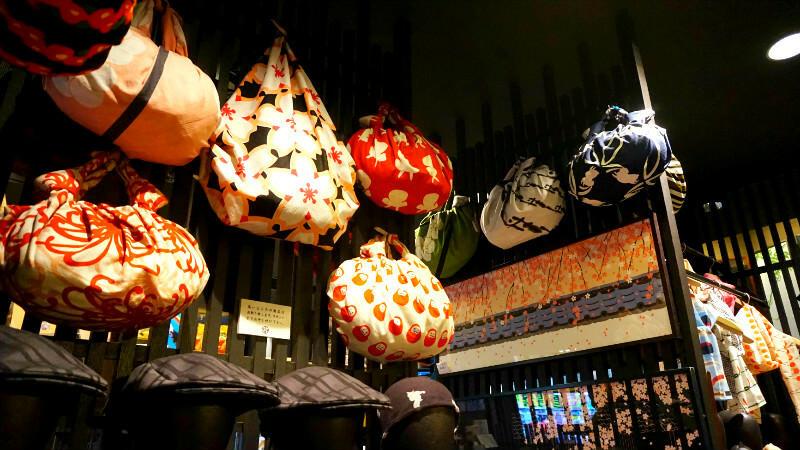 Eirakuya is said to be the oldest store in Japan selling small things made out of cloth, and it was founded over 400 years ago! It’s a long established store among long established stores. These Eirakuya’s small Japanese things can be bought in a store that is directly connected with JR Kyoto Station! The predominant color of the store is black, and there are many products crammed inside the store, from traditional to cutesy ones. 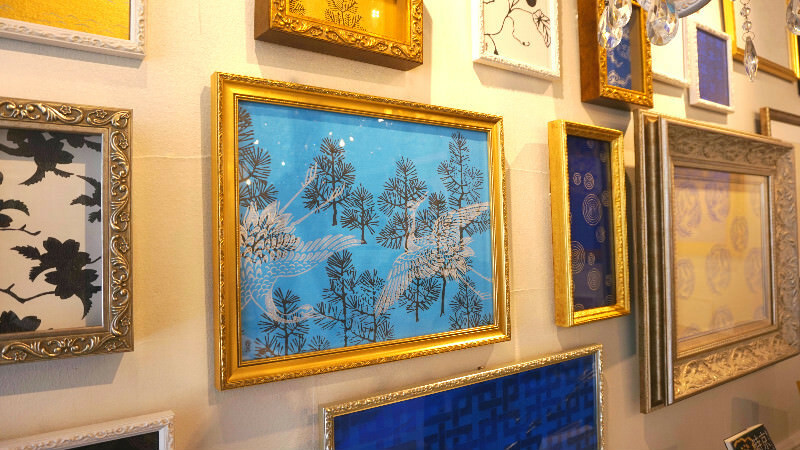 Eirakuya is most famous for their tenugui towels. 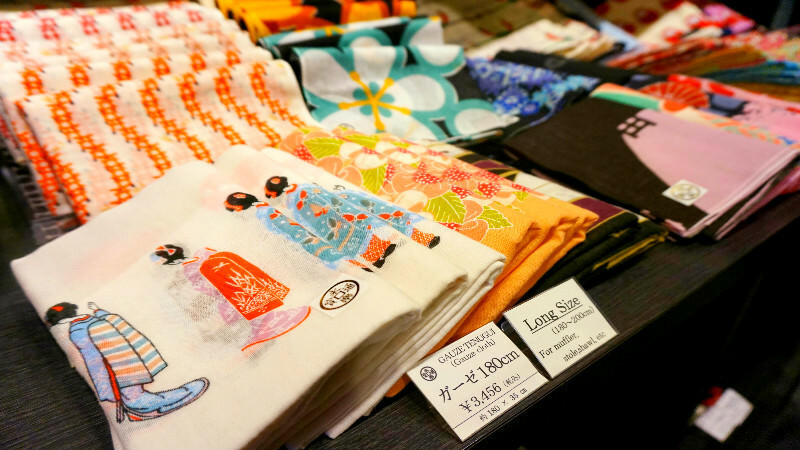 They sell reprints of tenugui from a hundred years past, and by doing this they also were spark to the tenugui fad in Japan. If you buy these as souvenirs I’m sure the people who receive them are going to be happy. 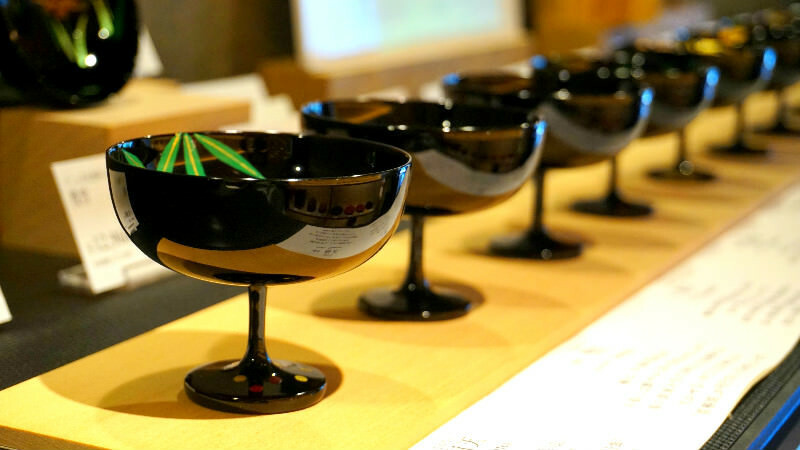 When talking of Japanese tableware, you can’t leave out lacquerware. 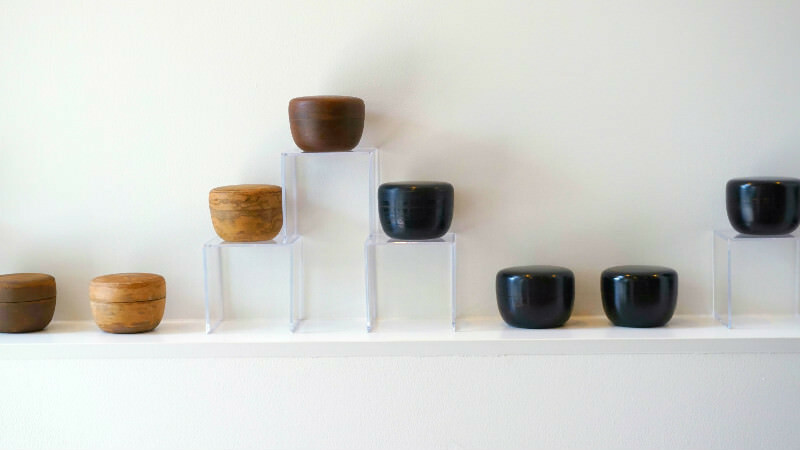 Of course Sharing Kyoto also has an article about an old established lacquerware specialty store. That store is Zohiko. Zohiko was born approximately 350 years ago in Kyoto. They sell lacquerware with beautiful gold and silver decorations. 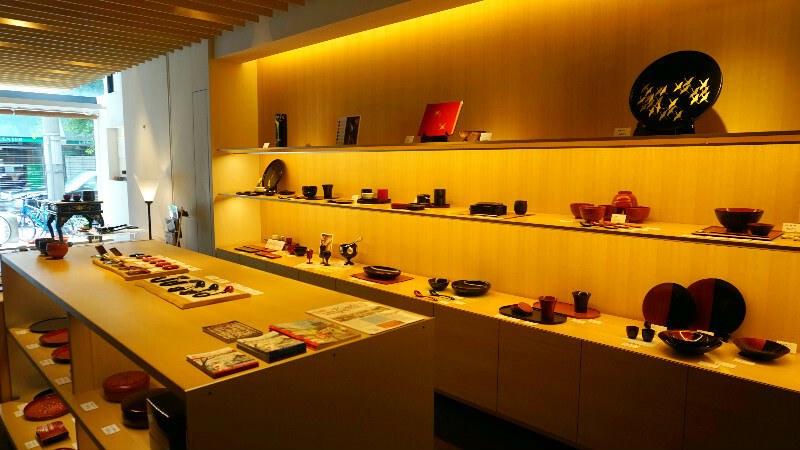 One of the charming points about Zohiko’s lacquerware is that they and their designs are made to be used for a long time, every day. It’s great that they can be passed onto the next generation to be used for the next 100, even 200 years. Zohiko, like Seikado, is also on Teramachi-dori Street. It’s really close to Seikado. There are many great restaurants close to this store so I recommend you go to them too! Lastly I want to tell you about KIRA KARACHO. You may already have noticed that it looks a bit different from the shops we have looked at so far, but you shouldn’t look down on it just because the atmosphere is cute. 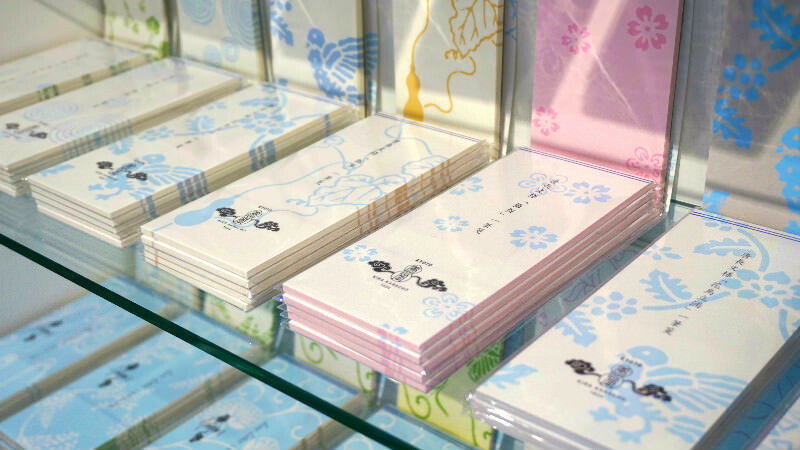 They are most famous for their message pads called “ippitsusen.” These ippitsusen message pads are great because they are so cute. The motifs called karacho on these message pads have a history of over 400 years! The kara-paper with these karacho-motifs is so high quality that they have even been used at the repairs of Nijo-jo Castle and the Katsura Imperial Villa. If the kara-paper could make the lives of people richer and fuller... these kinds of feelings of the kara-paper artisans can be felt at KIRA KARACHO. 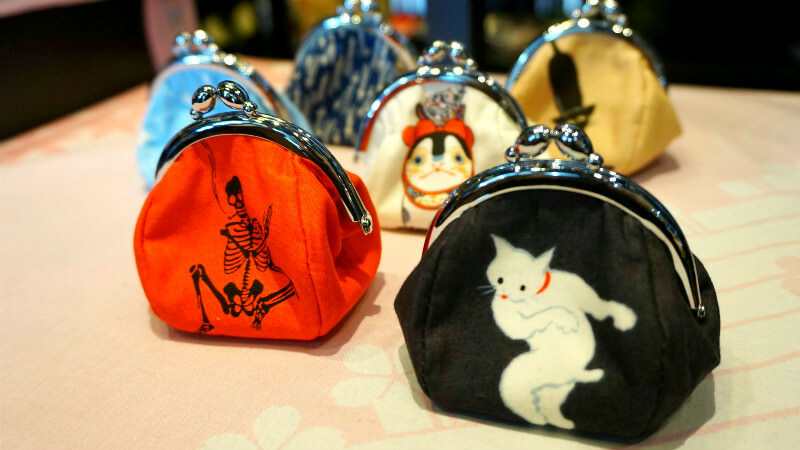 Stationery and mugs, even iPhone cases, the historic karacho motifs are used in KIRA KARACHO’s products, making you feel the weight of history in modern products. The store has direct access from subway Shijo station. I think high quality Japanese things made with great technology made you feel satisfied just by looking at them. Some of them are really expensive, but there are others like the one I told you about last, KIRA KARACHO, where you can buy their products without worrying too much about the price. I hope you will find some small Japanese objects you like too!